Don't let your promotions fall into a sand trap! 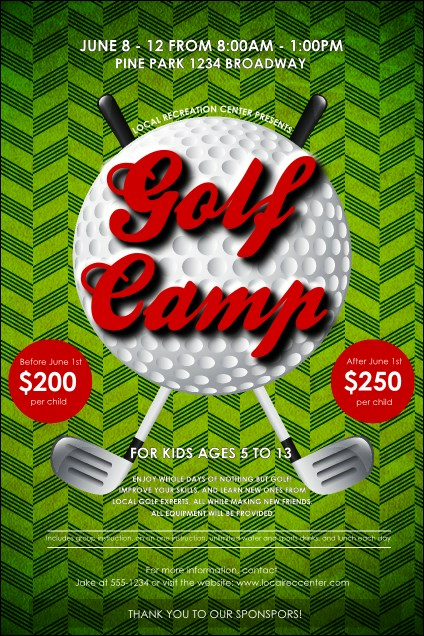 Get fans and enthusiasts out to your fairway event with the Golf Camp Poster. Bright diagonal lines resemble a manicured green, with bold red text announcing your tournament or clinic. Enter twenty lines of details into the template and we'll send them your way! Browse our online gallery for more sporty designs!